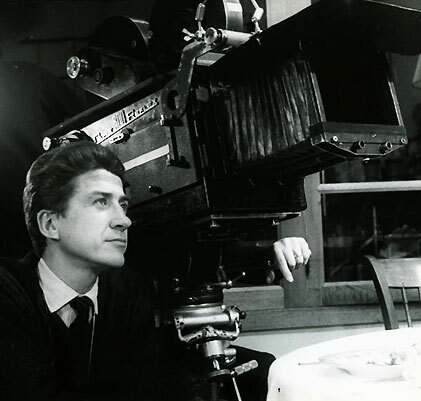 Alain Resnais (June 3, 1922 - March 1, 2014) was an internationally acclaimed film director, associated with both the Left Bank Group and the Nouvelle Vague, whose unforgetable images have become part of the fabric of film history. His preoccupation with the themes of time, memory and history, and his dazzling exploration of cinematographic technique, made him one of France’s most distinctive and influential filmmakers for over 60 years. Resnais was born in Vannes, Brittany. He suffered bouts of asthma as a child and received much of his education at home. He read a great deal, including art books and comic books and Marcel Proust’s Rememberance of Things Past. He also had a keen interest in cinema and began making 8mm films at the age of 14. On leaving school Resnais moved to Paris during the German Occupation, where he studied acting for a time with Rene Simon, before giving this up to enter the newly formed Institut des Hautes Etudes Cinematographie in 1943, leaving the following year because he felt the course was too theoretical and lacking in real production practice. After completing a year of compulsory military service, he began making shorts in the late 40’s. These included a series of 16mm silent films called collectively the “visite” series, profiling artists and their work, among them Lucien Coutard, Felix Labisse, Hans Hartung, Cesar Domela, and Oscar Dominguez. In 1948 came Van Gogh, in which the artist’s life was told through images from his own paintings accompanied by music, sound effects and voice-over commentary. The film proved so successful in its original 16mm form that it was subsequently remade in 35mm, winning a prize at the Venice Film Festival as well as an Academy Award. Following its success, Resnais used similar techniques in two more art films, Guernica (1950) about Picasso’s anti-war masterpiece, and Gauguin (1950). Three further documentary shorts, Les Statues Meurent Aussi (Statues Die Also, 1953), an essay on native art among France’s African colonies co-directed by his friend Chris Marker, Toute la Memoire du Monde (All the Memory in the World, 1956), a study of the Bibliotheque Nationale, and Le Chant du Styrene (Song of Styrene, 1958), a playful film about the manufacture of polystyrene, demonstrate the development of the themes and style that would find full expression in Resnais’ later feature films. This style, characterized by an observant moving camera, poignant montage editing, and evocative soundtracks, was used to perhaps its greatest effect in Resnais’ breakthrough Nuit et Brouillard (Night and Fog, 1955), one of the first and best documentaries about the Nazi concentration camps. Believing that an excess of gruesome imagery might make the events he was describing seem unreal to viewers, Resnais choose to film the empty camps as they were in the present, avoiding the use of stock footage of the actual holocaust until the very end of the film. This approach, combined with a mesmerizing voice-over commentary by camp survivor Jean Cayrol, worked brilliantly, and the film received world-wide acclaim. Argos Films, the producers of Nuit et Brouillard, next approached Resnais to make a film for them about the atomic bomb. Working closely with novelist Marguerite Duras, the concept for a narrative fictional film emerged from their struggle to realize what was essentially unfilmable as a documentary. The story they came up with was a love story set against the disaster of Hiroshima. Fusing past with present and poetic imagery with stark documentary footage, Hiroshima, Mon Amour (1959) was both moving and stunningly original. It became a huge international success and launched Resnais to the forefront of what commentators were now calling the French New Wave. Resnais’ next film was even more experimental. Collaborating this time with acclaimed avant-garde novelist Alain Robbe-Grillet, L’Annee Derniere a Marienbad (Last Year at Marienbad, 1961), was a complex cinematic mystery story that broke all the rules of traditional narrative film-making. In place of plot the audience were presented instead with an insoluble puzzle, in which lines and situations were repeated over and over, and the mise-en-scene was deliberately artificial and dream-like. In common with much of Resnais’ work it explored the subjective nature of memory; characters remember the same events in different ways, suggesting there can be no objective truth about what has happened. Though critical opinion was divided, the film won the Golden Lion at the 1961 Venice Film Festival and has proved enduringly influential. Muriel (1963) was another meditation on the themes of time, place and memory. The two main characters – a mother and her son – both regret decisions and actions they have taken in their past and try, in their own ways, to try and change it. The fragmented narrative mirrors their inner sense of dislocation as past and present weave in and out of each other. Less abstract and more emotionally engaging than his previous features, Muriel marked a change in approach that continued with the more orthodox La Guerre est Finie (1966), and Je T’Aime, Je T’Aime (1968). 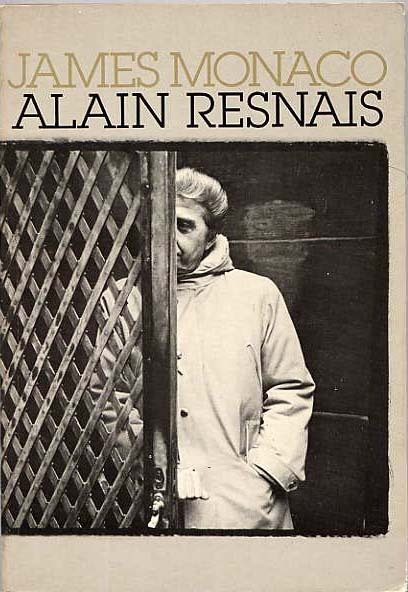 After the financial disaster of the latter film, Resnais didn’t make another film until Stavisky in 1974. Based on the true story of a political scandal in the 1930’s, the film starred Jean-Paul Belmondo in the title role and was a popular success in France, however a number of critics questioned whether there was any real substance beneath the flawless period detail and sophisticated technique. His next film Providence (1977), staring John Gielgud in the role of a writer struggling with the plot of his latest novel, won more favour, winning seven Cesar Awards. In the 1980’s Resnais continued to explore his favourite themes of time, memory and place in Mon Oncle d’Amerique (My American Uncle, 1980), a multi-layered narrative which switches between a documentary-style discussion of animal behaviour and a powerful emotional drama; La Vie est un Roman (Life is a Bed of Roses, 1983) which follows characters in different time periods searching for their own vision of Utopia; and L’Amour a Mort (1984), Melo (1986), and I Want to Go Home (1989), which all challenged the boundaries of what cinema should be about. The radical nature of these films often appeared to alienate the wider audience and Resnais didn’t always get the critical support or commercial success he’d enjoyed with his earlier films. However Smoking/No Smoking (1993), based on a series of plays by English playwright Alan Ayckbourn, won a number of Cesar awards and was more warmly received for its humour and innovation. As were On Connait la Chanson (1997) and Pas sur la Bouche (2003), in which he experimented with musical ideas pioneered by television writer Dennis Potter. Coeurs (Private Fears in Public Places, 2006), again based on a play by Alan Ayckbourne, won Resnais the Silver Lion for direction at the Venice Film Festival. This was followed by the playfully surreal Les Herbes folles (Wild Grass, 2009) and Vous n'avez encore rien vu (You Ain't Seen Nothin' Yet, 2011) based on Jean Anouilh's 1941 play Eurydice. Resnais' final film Aimer, boire et chanter (Life of Riley, 2014) premiered at the Berlin International Film Festival, just three weeks before the director died on March 1st, 2014. Need suggestions? See our list of the Top 10 Films of Alain Resnais.